The iPhone 7 is a very good phone, but it's not a perfect phone and it's certainly not the best phone for many people. Things I like about the iPhone 7: it's well-made and has a nice screen; call quality is much better; it's really, really fast; battery life is finally in a good range; it takes excellent pictures and video; it's water-resistant. 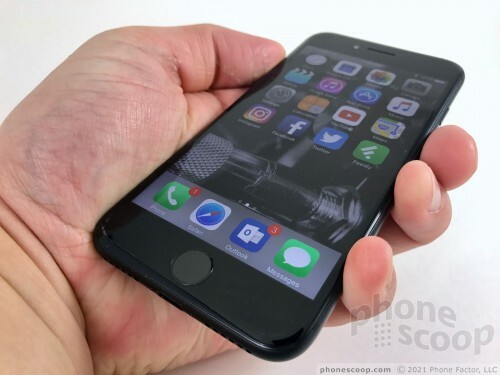 Things I dislike about the iPhone 7: the sameness of design when compared to older iPhones; no 3.5mm jack and proprietary Lightning port; locked-down NFC; poor ratio of screen size to phone size; expensive; poor "stereo" speaker implementation. If you're a happy Android user, then I see no reason to buy the iPhone 7. If you're ambivalent about what operating system your device runs, then perhaps go to a carrier store and take a good look at the Galaxy S7 and HTC 10, which are at least as good as far as high-end flagships are concerned. If you're upgrading from an iPhone 6 or older, the iPhone 7 makes sense as a replacement. It offers dramatically improved performance over its aging predecessors, particularly as far as the camera, processor, battery, and wireless speeds are concerned. There's less reason to upgrade from the iPhone 6s, which gains many of the 7's features thanks to the iOS 10 update. The iPhone 7 starts at $649, which is in line with what other flagships cost. Some carriers are offering it for "free" if you agree to stick around for 24 payment credits. You're better off selling your old iPhone (to Apple directly, or via Craigslist, etc.) to put toward the cost of the iPhone 7. Pay the rest yourself, whether that be all at once or over time, to avoid making a commitment to a carrier. The iPhone 7 may be the best iPhone Apple has made, but it's not the best iPhone that Apple can make. It's the disparity between these two points that bugs me so much.